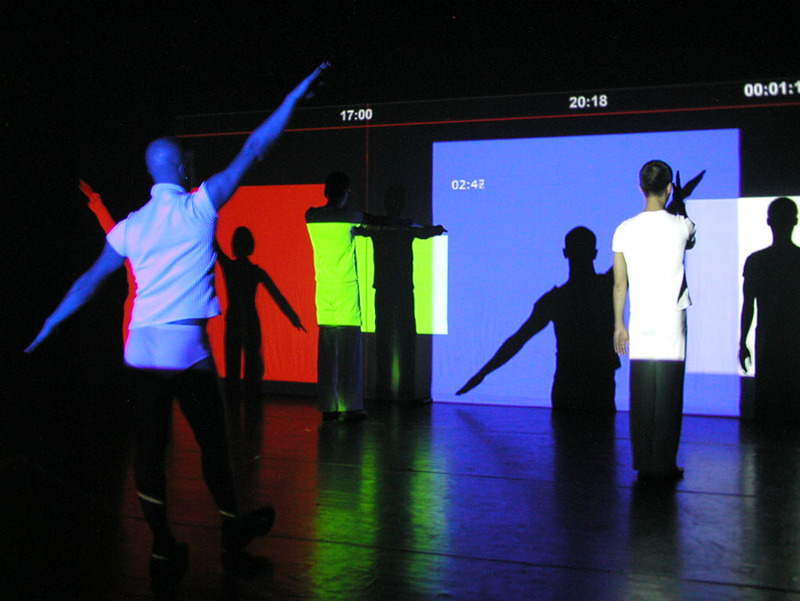 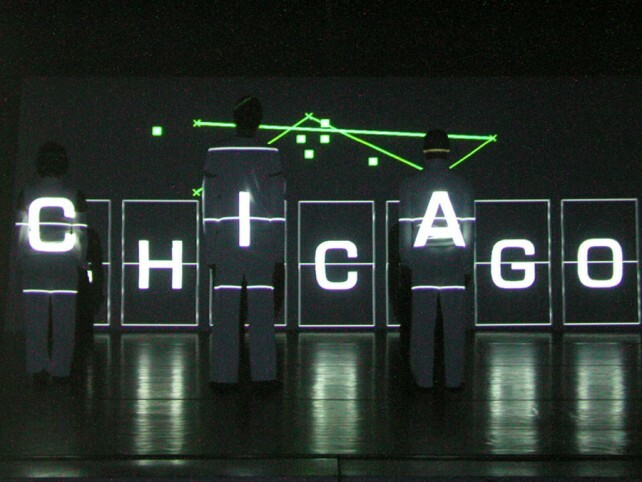 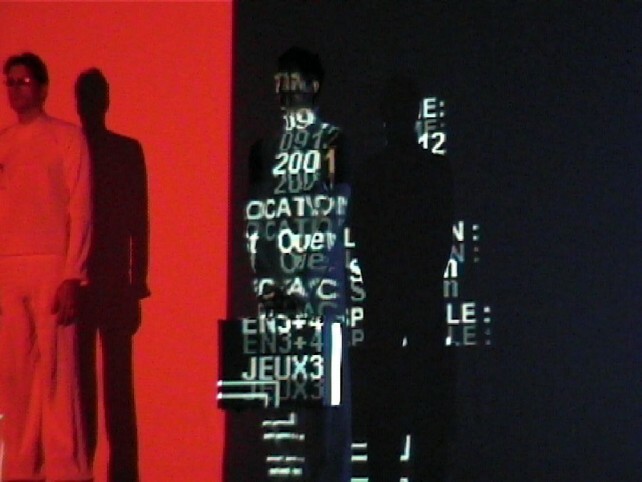 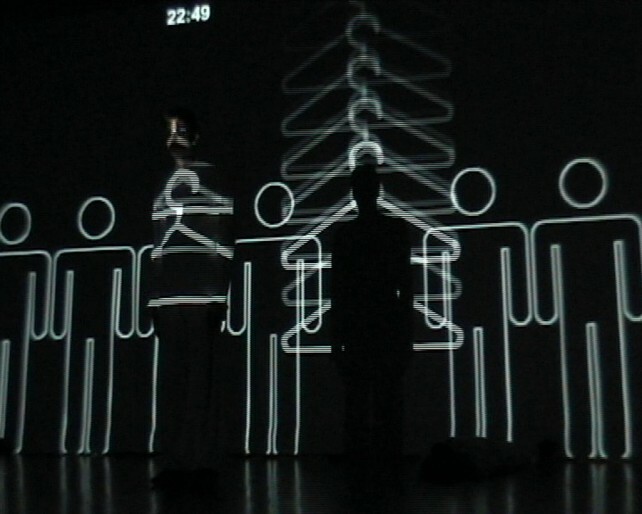 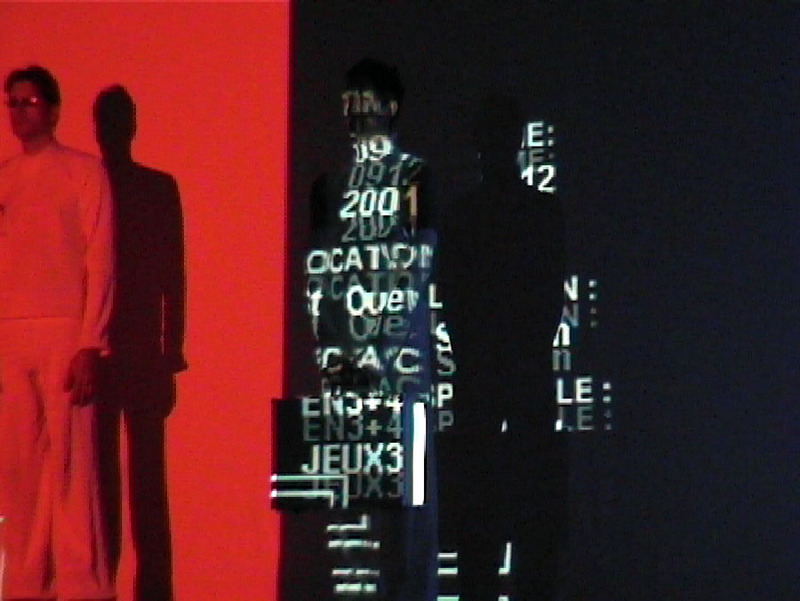 The interactive devise “Enjeux” consists of a multi-media interface, projected in back of the stage, from which the options of the public take form. The scene, the play of interpreters, the music and the interface constitute successively a scenic language implying the play as a trace which is negotiated with the public. 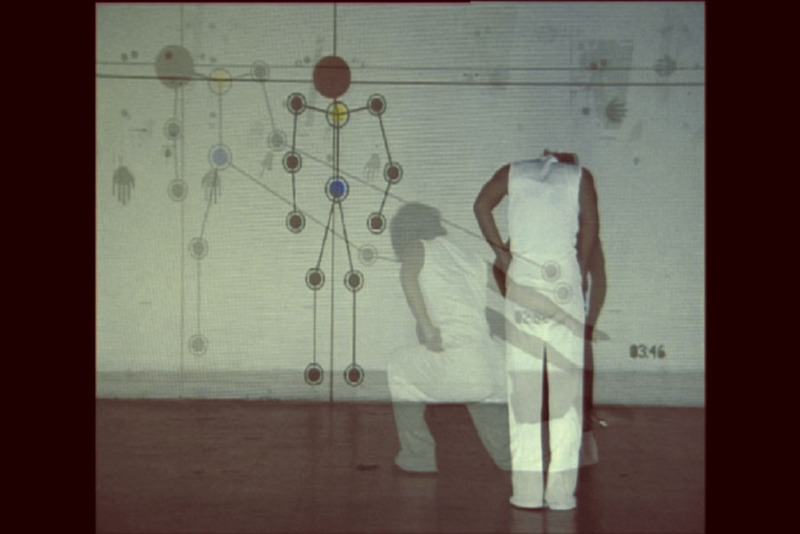 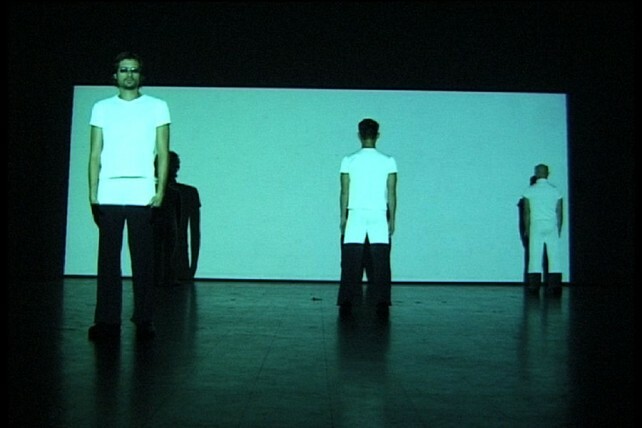 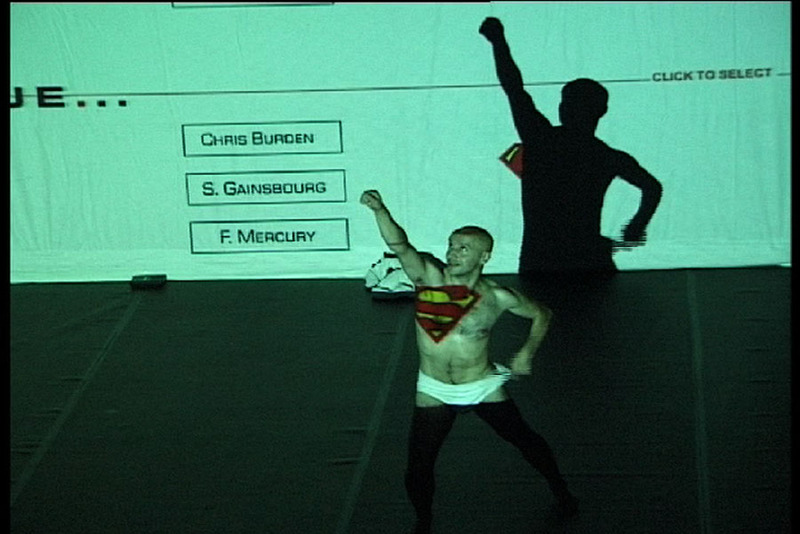 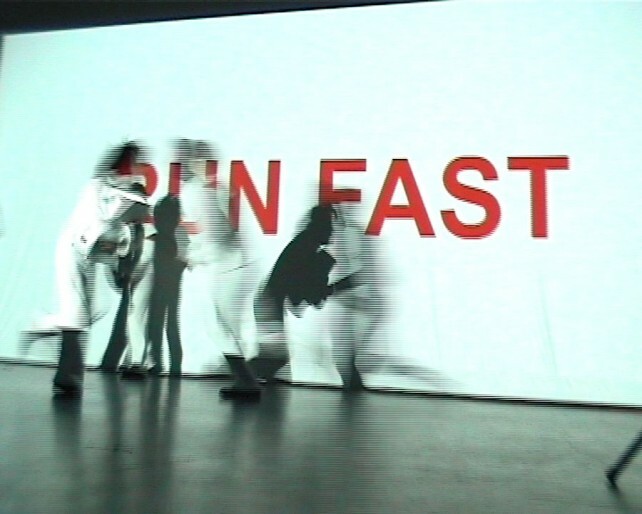 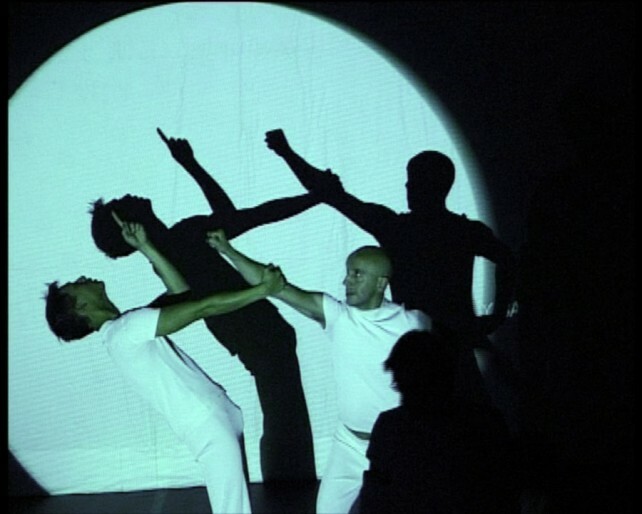 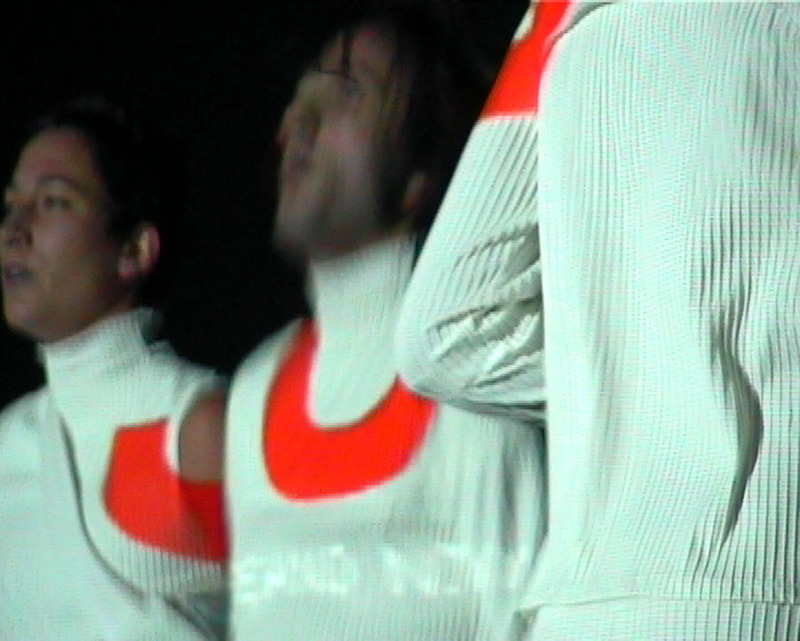 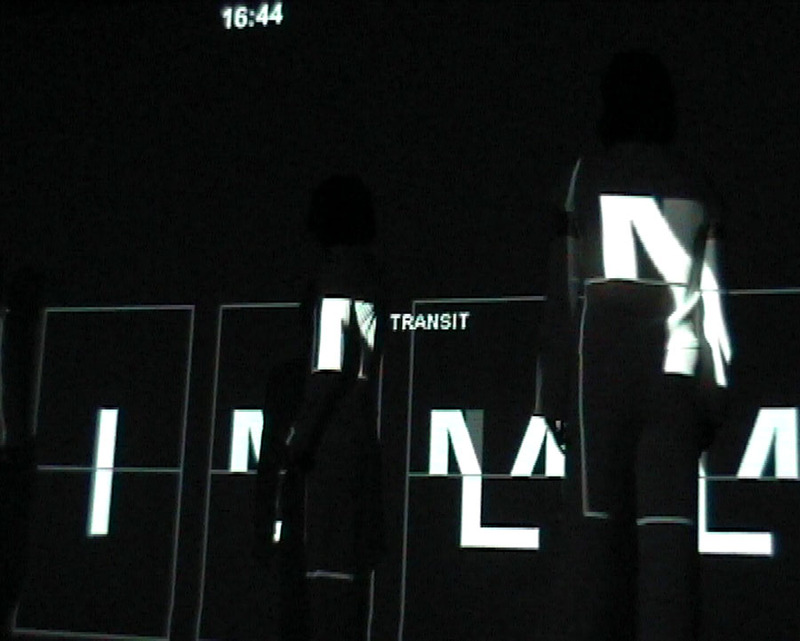 The performance, by a combine of 3+4 X 3 sequences, examines the relations between scene, public and textual structure. 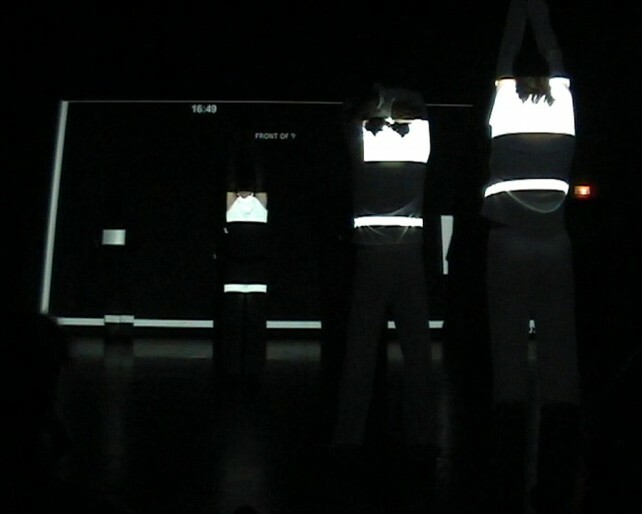 It questions the direct implication of the public in the construction of the performance. 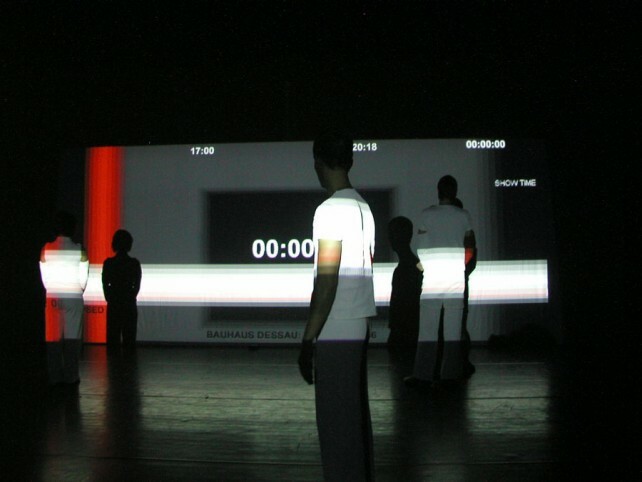 Through this relational transformation of the scene, the status of the place of spectacle, as a place of debate and exchange, that of the ‘res publica’ is questioned.